Today our little sleep resister turns ten months old. I know this fussy phase will pass (until the next one, that is . . .) but am also wary of wishing a single day away. With less than two months of maternity leave left I’m trying to live in the moment and soak up each precious morsel of my baby, so in the spirit of celebration (and because my sleep deprived brain might forget if I don’t write it down), here’s what we’ve been particularly loving about you this month, sweet boy. The sweet sense of humour I see emerging, reading our expressions, mimicking noises and responding with the deepest chuckles and a giant gap-toothed grin. Your new found trick of playing a plastic trumpet. I love the concentration in your eyes as you blow into it on repeat and can’t stop smiling when you attempt to ‘play’ anything of a similar shape, from the thermometer to my nose. The mad professor wisps of hair appearing round your ears that stick out like a ruffled duck and crinkle in your sleep. Your obsession with the planes that cross the back garden, scaling up the glass back door like spiderman to get a better look then shouting and waving as they pass. 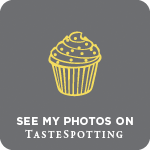 Your ever increasing appetite and eagerness to explore new flavours. Also your ability to get food into your mouth, sometimes with the most precise pincer grip but often a mad two handed balance act of fists and fingers or, if you’re really in a hurry, dropping your mouth to your high chair and vacuuming the food straight in. I know I’m biased, but I can barely handle the cuteness. The way you’ll take time out – sometimes just for a few seconds – to lay your head in my lap or on my shoulder, a reassuring sort of snuggle in the midst of your constant busyness. Using your lion walker to scoot across the kitchen like a tottering geriatric, and also attempting to scale the side meant for playing with (not walking) like a little mountain goat. That mischievous sideways glance before you pull both socks off and shriek with glee. The pats and open mouthed kisses you plant on my mouth and tummy, your hedgehog, your squirrel and – increasingly – any appealing object I suggest might be in need of a smooch. The joy that takes over your entire body when we crank up your favourite song. This little munchkin is learning and changing so much each day, I’ll probably look back on this post in a week with ten more milestones to record. All this makes for a pretty exhausting schedule and little time for the slow, indulgent baking of my pre-baby days, so when a recipe is packs serious flavour with few ingredients and takes minutes to make, it goes straight to the top of my favourites list. 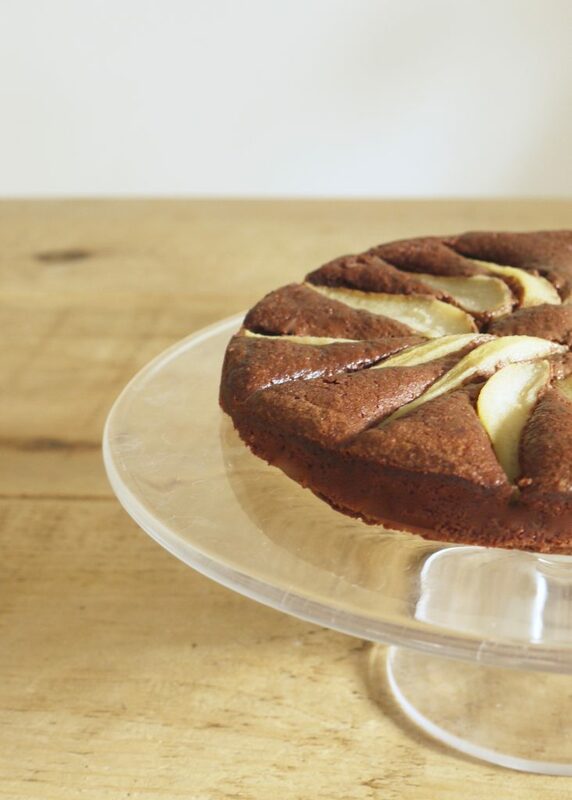 Enter this simple pear and chocolate tart from Emiko Davies’ gorgeous cookbook, Florentine. My only tweak was to replace the ground almonds with hazelnuts because I find that Nutella-esque combination hard to beat. 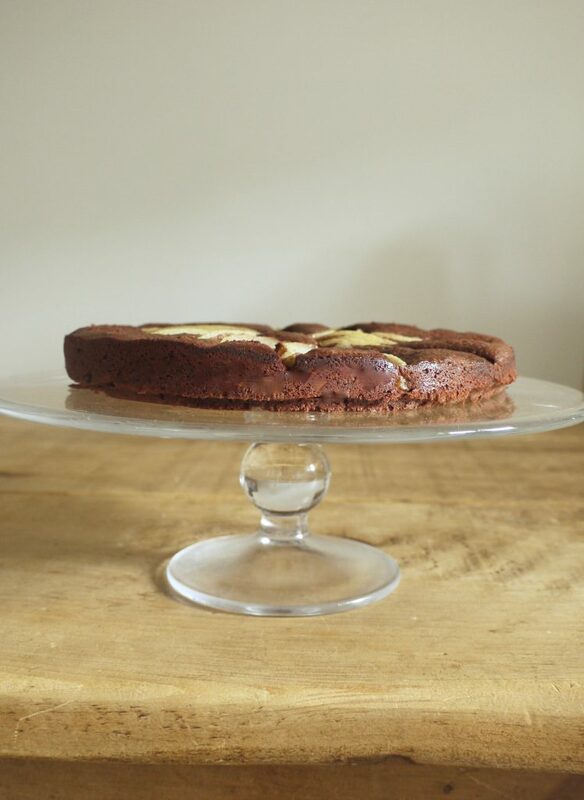 If you need a new chocolate cake recipe in your life, this scrumptious gem is it. 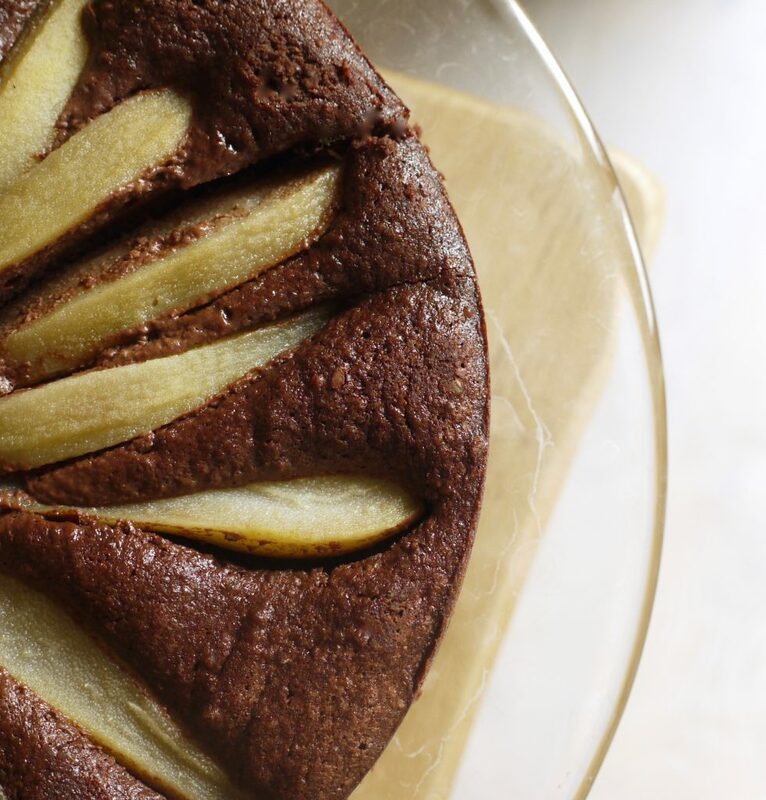 A deliciously rich flourless chocolate cake with slices of sweetly poached pear. Perfect for afternoon tea or served for dessert with a dollop of creme fraiche. Combine the sugar with 500 ml water in a saucepan and set over a medium heat. Add the pear and poach for 10–15 minutes, or until tender but not too soft (a knife should easily penetrate the flesh without any resistance). 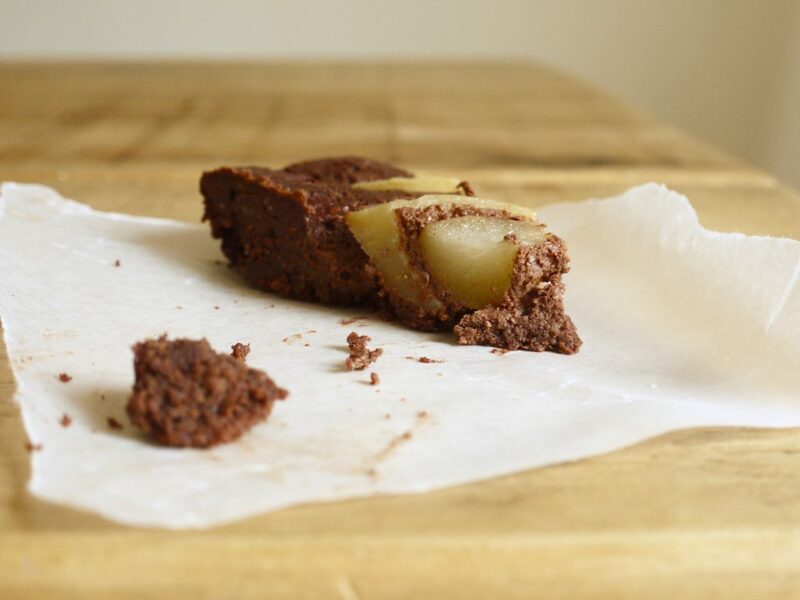 Drain and let the pear pieces cool. Preheat the oven to 180°C (360°F). Grease a 23cm round springform cake tin and line the base with baking parchment. Recipe barely adapted from Florentine by Emiko Davies. What a lovely post and record of this special time. Great choice of favourite song! I made this today (with ground almonds as per Emiko’s original recipe as I was out of hazelnuts) and it was wonderful with a big dollop of creme fraiche. Thank you Kate and Emiko for the recipe. We’ve got nice recipe here. Thanks for sharing it!